Firefighter first in design. Illustration of a flaming firefighter cross with symbols for firefighting and rescue services. vector format is easily edited or separated for print and screen print. Illustration of a flaming firefighter cross with symbols for firefighting and rescue services. Vector format is easily edited or separated for print and screen print. 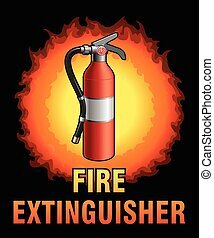 Fire Extinguisher Design is an illustration of a fire extinguisher used in emergencies to put out small fires along with text and a fireball. Illustration of four simple first aid health icons or medical symbols with hearts and heartbeat lines in red. 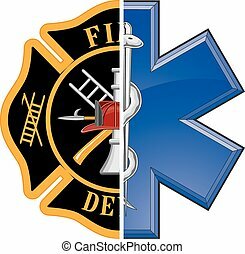 Fire Rescue Design is an illustration of vibrant text that says Fire and Rescue and includes a firefighter's Maltese cross, rescue Star of Life symbol and crossed fireman's axes. 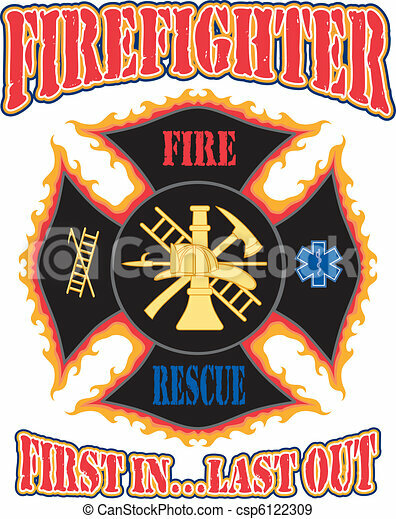 Great for use in fire, rescue, emergency and medical response themed designs. 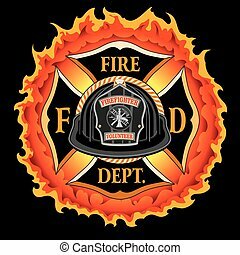 Fire Department Cross Symbol is an illustration of a fireman or firefighter Maltese cross emblem with a firefighter helmet and firefighter axes in the foreground. 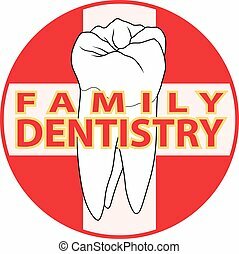 Great for t-shirts, flyers, and websites. 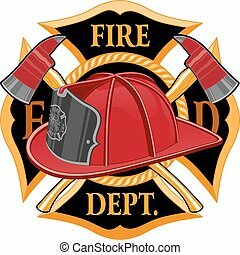 Fire Department Cross Volunteer Red Helmet is an illustration of a fireman or firefighter Maltese cross emblem with a red volunteer firefighter helmet and badge in the foreground. Great for t-shirts, flyers, and websites. 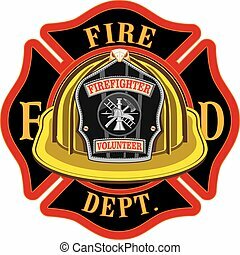 Fire Department Cross Volunteer Yellow Helmet is an illustration of a fireman or firefighter Maltese cross emblem with a yellow volunteer firefighter helmet and badge in the foreground. Great for t-shirts, flyers, and websites. 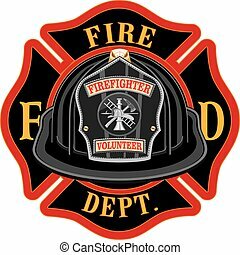 Fire Department Cross Volunteer Black Helmet is an illustration of a fireman or firefighter Maltese cross emblem with a black volunteer firefighter helmet and badge in the foreground. Great for t-shirts, flyers, and websites. Fire Department Cross Vintage Red Helmet Volunteer with Flames is an illustration of a vintage fireman or firefighter Maltese cross emblem with a red volunteer firefighter helmet and badge in the foreground. Great for t-shirts, flyers, and websites. Fire Department Cross Vintage Yellow Helmet Volunteer with Flames is an illustration of a vintage fireman or firefighter Maltese cross emblem with a yellow volunteer firefighter helmet and badge in the foreground. Great for t-shirts, flyers, and websites. Fire Alarm Isolated is an illustration of a red pull type fire alarm that is common in public buildings such as schools. 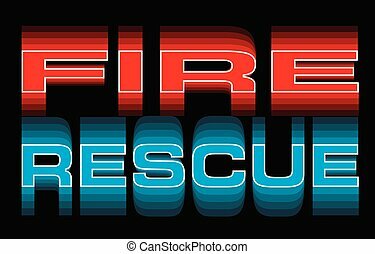 Fire Rescue is an illustration of vibrant text that says Fire and Rescue. 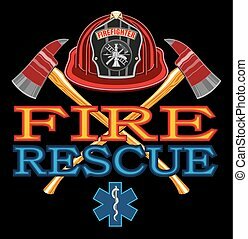 Great for use in fire, rescue, emergency and medical response themed designs.